People moving across lands and continents look to the horizon in search of a future. The horizon provides a metaphoric crossing space; it holds an image of human finitude—our limitedness in time, space, and comprehension. Let us assume for a moment that time across oceans and time across distance evaporate into a seam enveloping us in a point of similar perception. My 9am is Your 10pm is an immersive work consisting of 48 LED screens laid out in two rows of 24, displaying a horizon and functioning within this field of the fusion of time and perception. 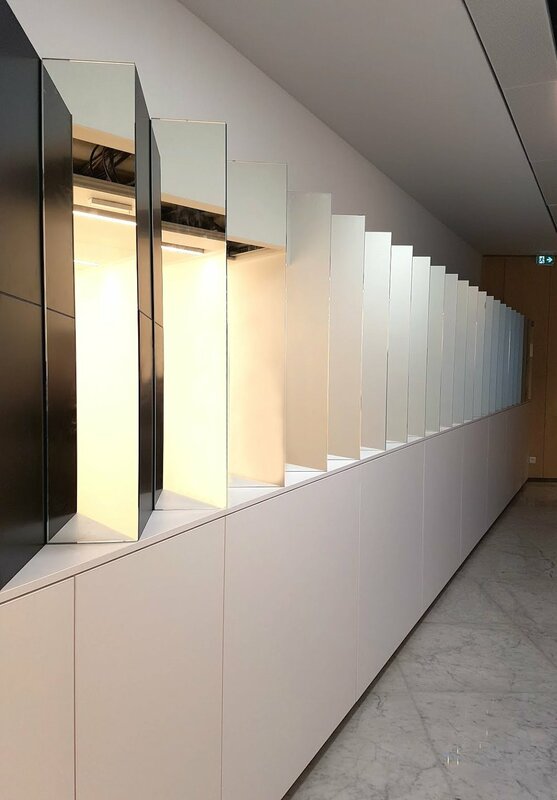 With the horizon as a locus, this work will connect the Canadian Embassy at the Paris Chancery to its role in the lives of the people passing through its doors.